Fredericka Joseph is an enrolled member of the Kaw Nation of Oklahoma. Freddie was a Federal employee for 32 years working at the Department of the Army, Department of Agriculture, Department of the Interior, Environmental Protection Agency. She recently retired from the Department of the Interior Headquarters in Washington, DC. 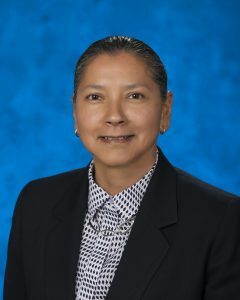 She has a degree in Human Services and is a Lifetime and Founding Board Member of the Society of American Indian Government Employees (SAIGE). She has served as the Chair of the SAIGE Board of Directors since January of 2014.
documents and contracts. With the help of the law firm we were successful in trademarking our SAIGE logo ensuring our logo cannot be used by other organizations in the future. We now have three chapters, one in Utah the other in Kansas and the latest in Louisiana. These Chapters provide valuable outreach to their local community and provide services in the form of school supplies and information. A volunteer Chapter Liaison position was developed to improve communications between the National Organization and the chapters. The liaison reports to a Board of Directors point of contact. Standing Operating Procedures were updated and approved by the Board outlining operational procedures and position descriptions. The Warrior Society was initiated during the first year of my taking office. This program has grown and is one of the most popular programs SAIGE offers. Memorandums of Understanding were signed by agencies and we are currently updating many of these MOU’s. We continued to work on the CFC Program over the last three years generating funding to assist in the operations of SAIGE. The Board developed a Harassment policy which all board members signed. I have represented SAIGE at the National Coalition of Equity in Public Service (NCEPS) events and assisted the partners in designing and executing a Diversity Summit held at NOAA. I traveled to all NCEPS events representing SAIGE by setting up a booth handing out brochures and information about SAIGE to those attending the NTP. I served on panels sharing SAIGE’s mission, programs, scholarships, youth and veteran’s programs, and upcoming National Training Programs. I have been invited to speak at Federal agencies during Native American Heritage Month. The Board of Directors have actively been researching grants. A volunteer was sent to training to learn more about grants that will help in the funding of our programs. This is a major goal for the board and me going forward. Thank you for having the confidence in me to serve as your Chair. I look forward to the next two years! He previously worked as both a Reclamation Specialist and Technology Coordinator with the Office of Surface Mining Reclamation and Enforcement (OSMRE) in Denver, CO. Both DEMD and OSMRE are part of the Department of the Interior (DOI). Before working for OSMRE, Duane worked for the Bureau of Land Management (Initial Attack Fire Dispatcher), Scientific Applications International Corporation (Field Geologist), Bureau of Reclamation (Geological Intern), United States Department of Agriculture (Smokejumper), Confederated Salish and Kootenai Tribes (Minerals department) and National Park Service (Helitack/Firefighter). Duane also worked as a schoolteacher on the Laguna-Acoma reservation in New Mexico. He holds a Master’s Degree in Geology and a Bachelor’s Degree in both Geology and English/Secondary Education. Mr. Matt was a member of the University of Montana cross-country and track-and-field teams 1986-1990. He also possesses six years of experience coaching both boys’ and girls’ high school cross-country and track-and-field. Duane is a founding board member of the Society of American Indian Government Employees (SAIGE). She:kon members of SAIGE. My name is Philip Hamel and I am asking for your support as I seek re-election as the SAIGE Board of Directors Secretary. I have been working at the Federal Correctional Institution in Ray Brook, NY since 1990, with the last 10 years as the Environmental and Safety Compliance Administrator and will be retiring in July 2019. I was elected as a board director of SAIGE from 2008 – 2013 and was the Native American Special Emphasis Program Manager (SEPM) from 1997 – 2016. I have been recognized by the Bureau of Prisons (BOP) with SEPM awards for four separate years, the most recent being 2010 and in 2016 I received a SAIGE Award for Leadership . These awards were for my education, outreach and commitment to American Indian and Alaska Native issues and the dissemination of information regarding various American Indian issues both within the BOP and to outside organizations. I continue to utilize my contacts to educate staff on American Indian and Alaska Native issues and have utilized my contacts to have Spiritual Leaders in to speak with American Indian inmates in hopes of decreasing their recidivism. Per Ms. Sandra Burks Farrior, Affirmative Action Chief (Retired) for the BOP, I played a pivotal role in getting the Affirmative Employment Branch of the BOP to recognize SAIGE and to utilize the organization to train their SEPM’s on American Indian and Alaska Native issues during the Tucson conference. The BOP continues to embrace what SAIGE has to offer by also sending their Selective Placement Program Managers to our conference. In 2011, 40+ participants attended the conference. I remain in close contact with my friend and teacher John Fadden and his family, who built, own and run the Six Nations Indian Museum in Onchiota, NY. Additionally, I serve on the Board of the Northern Adirondack Safety and Health Council. I have a lovely wife and two wonderful adult boys. It has been my privilege to be elected to the board of SAIGE in the past and I would be honored and humbled to be re-elected to serve our members as secretary representing fellow government employees as we address the many issues related to American Indians and Alaska Natives. 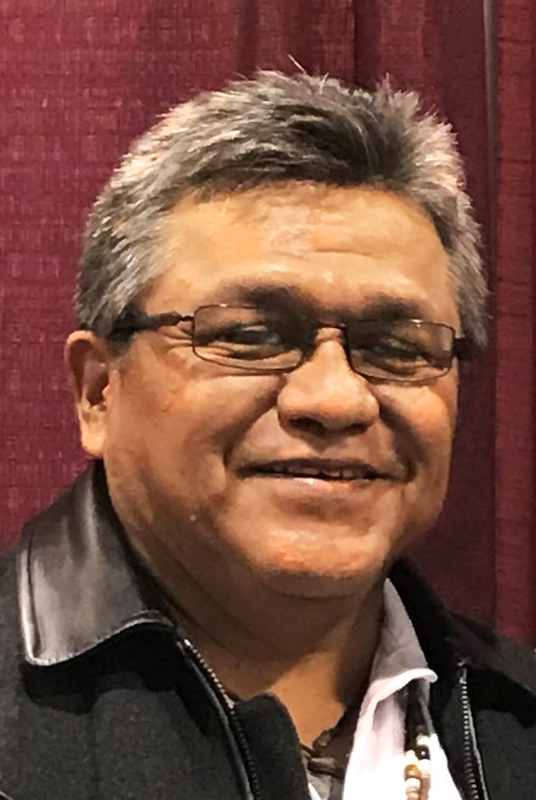 Joe Eckerberg is Anishinaabe residing in L’Anse Michigan and is an enrolled member of the Keweenaw Bay Indian Community currently serving on their Tribal Health Board, Constitution Committee as well as on the Bayside Village Nursing Home Board for Baraga County. Born and raised in Lewistown Montana, Joe served in the United States Army from 1980 to 2001 retiring as a Master Sergeant. Following his military retirement, Joe continued his service as a Department of Defense Civilian with Defense Intelligence Agency retiring to Michigan in 2015. Joe is a graduate from Saint Leo College with a Bachelor’s Degree in Human Resource Administration. Joining SAIGE in 2008, he is a lifetime member of both SAIGE and the SAIGE Warrior Society. Joe is an active member of the Wiikwedong Ogichigaa Society, and life member of both the American Legion and Veteran’s of Foreign Wars. Why I want to serve on the SAIGE Board: My interest in running for the board is to help with those things proclaimed in the SAIGE Mission statement not only here in my home territory but across the nation. Carl Etsitty, Tódich’ii’nii and Tó’áhani clans of the Diné (Navajo) Nation. Carl is a U.S. Navy veteran. He has BS and MS degrees in Soil, Water and Environmental Sciences from the University of Arizona. His graduate research involved developing rapid detection for human pathogens. While working with the EPA, he was a product chemistry and health human risk assessor for new biological pesticide registration. He assisted the need for a Tribal Science Council using Complexity and GAIA Theories reinforcing tribal science. He has worked with USDA/APHIS as a regional biotechnologist, and Plant Protection and Quarantine (PPQ) Tribal Liaison. Currently he is the Tribal Liaison / Assistant Director for the Office of National Tribal Liaison, serving in a multi-faceted role providing guidance on Tribal Consultation and outreach to Tribes. He was involved in the development of SAIGE as a founding member, and is a Lifetime SAIGE member. Danny is Anishinabe and his ancestors include members of several tribes of the Lake Superior Chippewa. His great grandfather was Animodoskwan (Plenty Dogs), a LaPointe Chippewa of the Lac Courte Oreilles and Madeline Island region. He is a lifetime member of the Society of American Indian Government Employees (SAIGE) and currently serves as a Director on the SAIGE Board and as the Director of the SAIGE Warrior Society. Danny has served on the SAIGE board since 2007 to include two terms as the Chair from 2008 to 2012. In 2007 he retired at the rank of Sergeant Major from the United States Army and Army National Guard with 30 years of active duty. His last duty assignment was as the Michigan Army National Guard Recruiting Command Sergeant Major. He is a Master Badge recruiter and Chief’s 50 awardee. SGM Garceau served three years as the Recruiting and Retention Area Command Sergeant Major Chair for Region IV representing the Great Lakes States. SGM Garceau served on the Michigan Diversity Council for seven years as the Strength Maintenance Advisor and as the Native American Special Emphasis Program Manager. His formal education includes the University of Phoenix, Vincennes University and Northern Michigan University. His military education included over a dozen schools and courses. He is a BNCOC Distinguished Graduate, ANCOC Honor Graduate and in 2002, graduated with honors from the United States Army Sergeant Major Academy, Fort Bliss, Texas. Danny lives in the homeland of his ancestors on the southern shores of Lake Superior with his wife Diane and grandson Nish (Logan) /Misajiidamoo (Grey Squirrel). 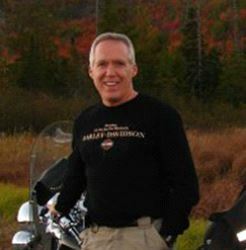 He is an active member of several organizations including; a Road Captain with the Patriot Guard Riders, President of the Ishpeming Alumni Association, Treasurer of the 107th Engineer Retired Officer Association, Lifetime Member of the Blackhorse Association /Blackhorse Cavalry Regiment Motorcycles, Lifetime Member of the AMVETS and DAV, the American Legion, Michigan Bikers Helping Veterans, and serves on the Honor Guard with the Wiikwedong Ogitchidaa Society for the Keweenaw Bay Indian Community. He also plays native flute and drums/sings with Morning Thunder Drum and Teal Lake Drum. 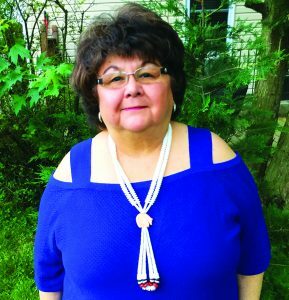 Juanita Mullen is a member of the Seneca Nation of Indians (Keeper of the Western Door), Cattaraugus Indian Reservation located in western New York. She currently works for the Department of Veterans Affairs in Washington, D. C., as the American Indian/Alaska Native Veterans Liaison within the Center for Minority Veterans and has worked in this position for the last 14 years serving both our Native Veterans and all other Veterans. Juanita retired from the Air Force after 20 years of service in the year 2000. Half of her career was spent serving under Headquarters U.S. Air Forces Europe. She has received numerous medals to include; the Air Force Achievement Medal, Air Force Commendation Medal, National Defense Service Medal, NATO Medal, and the Air Force Outstanding Unit Award. Upon retirement, she was hired by the Bureau of Indian Affairs, Washington D.C. She worked as a Self Determination Specialist in Contracts & Grants with the Eastern Regional Office, Education Specialist with the South-Eastern States Agency (SESA), and as an Administrative Officer for Budget Management at the Department of Interior. Juanita has a Master of Science Degree in Administration from Central Michigan University, Michigan, a Bachelor of Science Degree in Management from University of Maryland University College, Maryland, and an Associates Degree in Transportation from the Community College of the Air Force, Alabama. She is a graduate of Leadership VA for 2011. 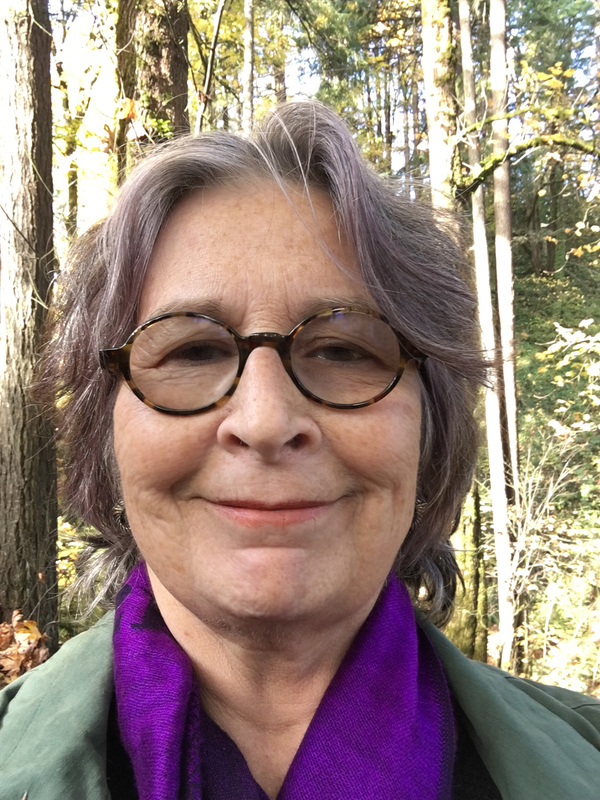 She enjoys reading/teaching American Indian History, guest speaking, art collecting, book collecting, loves animals, the wildlife, and the outdoors. She is a life time member of SAIGE. Sarah Olson is a Grants Management Specialist for the U.S. Department of Housing and Urban Development’s Southwest Office of Native American Programs. She has been in that po sition and was nominated by the HUD Phoenix Field Office Director and selected under the President Obama administration to be a Sustainability Officer. She was one of over 200 nominees and one of 60 selected. She was one of 3 Sustainability officers responsible to Indian country and worked with Regional Sustainability Planning Grants and Promise Zone convening activities. She has coordinated White House sanctioned events and served on many panels and focus groups involving: Sustainable Construction in Indian Country, Radon, Environmental regulatory reform, Renewable energy and energy efficiency, President’s Action Plan for Climate Change in Indian Country, Indoor Air Quality, Brownfields, Green Building Codes workgroup, regional and national trainings. Sarah is a graduate of the University of Minnesota Duluth. She has a master’s degree in business administration and received her Certified Public Manager certification from Arizona State University School of Public Affairs, Bob Ramsey Executive Education Program. Sarah was a speaker at the 2017 SAIGE annual conference and spoke about Building More Effective Federal Tribal Relationships. Georgeie is a long-time, loyal member of SAIGE and an advocate for Tribal sovereignty. In past years she has been a presenter at the annual SAIGE training event and, for the last three years, she’s been a part of the Planning Committee, helping to prepare for the annual National Training Program each June. She has embraced each task assigned with enthusiasm and considers herself a team player. Dr. Reynolds (PhD, Anthropology) founded the Tribal Nations Program for the US Army Corps of Engineers in 2003, reaching more tribal members and employees each year. Her greatest accomplishment was the development of a two-day training program for the Corps entitled Consulting with Tribal Nations. The two-day course, held around the country, featured representatives of local Tribes who spoke about their concerns and issues without interruption. The hosting Corps office included specialized topics, such as Relocated Tribes. About eighteen sessions were taught prior to her retirement in 2014. The program continues. Georgeie is ready, willing, and able to educate and enlighten non-Indian people like herself about Tribal rights whenever the opportunity or need arises. She hopes to continue working on the Planning Committee as a Board Member, try her hand at grant writing and management, and to undertake anything the Board suggests. Georgeie is a Lifetime SAIGE Member. 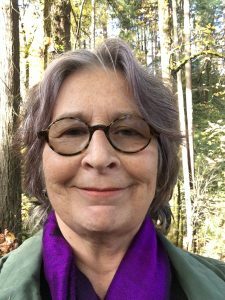 She is now a consultant in cross-cultural communication and Tribal rights, lives in Portland OR with her cat, Puddin’, and writes about her experiences in Alaska. Jay Spaan is a citizen of the Cherokee Nation. Currently he serves as the Executive Director of the Self-Governance Communication & Education (SGCE) Tribal Consortium. He has had more than a decade of experience in program evaluation, primarily as a Senior Analyst in the U.S. Government Accountability Office’s (GAO) Natural Resource and Environment team. 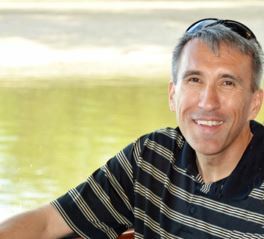 While at the GAO, Jay led work and developed reports focused on federal management of programs that serve tribal nations and their citizens, including federal management of trust resources, implementation of self-determination mechanisms, and federal efforts to effectively collaborate in administering programs to tribes. Several of his reports resulted in Congressional oversight hearings before the Senate Committee on Indian Affairs, the House Appropriations Committee, and others. 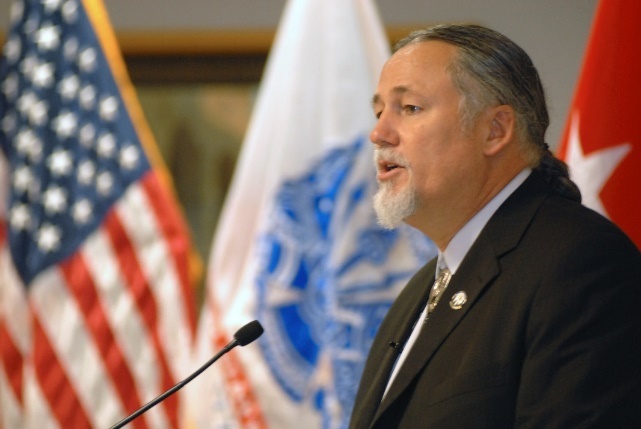 Jay actively sought opportunities to increase AI/AN representation within GAO and brought in numerous speakers to educate GAO employees on federal trust responsibility, tribal sovereignty, and building effective working relationships with tribal nations. In 2014, 2017 and 2018 he received GAO Awards for sustained service to numerous committees and congressional clients. Jay has served two terms on the SAIGE board of directors and served as co-chair of the 2016 National Training Program. He most recently completed a term as Vice-Chair of SAIGE. Jay routinely presents on various topics at conferences across the country, including the 2015, 2016, and 2017 SAIGE National Training Programs. He is a Lifetime member of SAIGE. Jay earned a Master’s of Jurisprudence in Indian Law from the University of Tulsa and a Master’s of Public Affairs from the University of Texas at Dallas. Lori Windle is Anishinaabe, and is a citizen of the White Earth Nation enrolled in the Minnesota Chippewa Tribe. She was instrumental in the development of SAIGE from an idea to a working organization and was the first Chairperson of the founding Board of Directors. She has served one term as Chair, three terms as Vice-Chair, four non-consecutive terms as Secretary and most recently, one term as a board member. Lori was a Co-Chair of planning the SAIGE National Training Programs in 2008, 2012 and 2018. She is a Lifetime SAIGE Member. 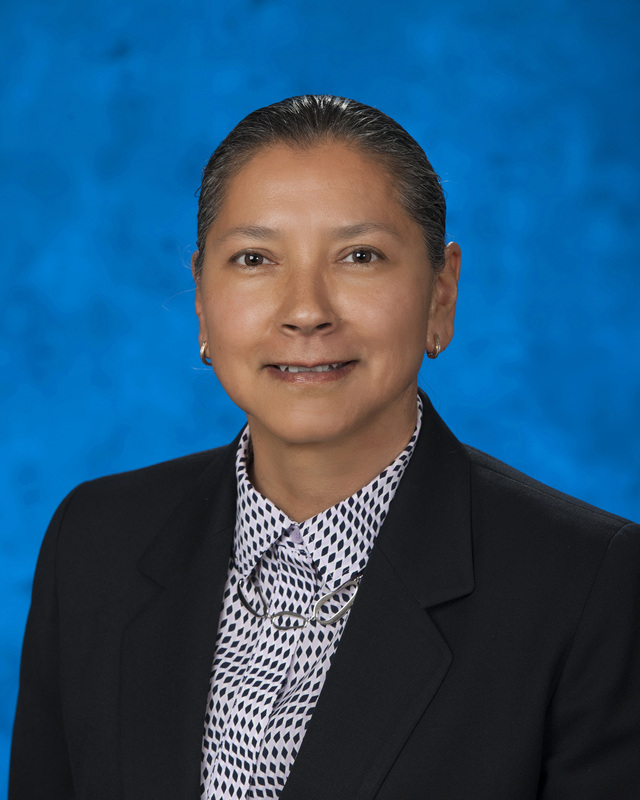 She has worked at the Department of the Interior’s (DOI) Office of Surface Mining Reclamation and Enforcement (OSMRE) Western Regional Office as a video producer and as American Indian Special Emphasis Program Manager for over 25 years. From 2012-2015 she was part of the DOI team that created a training course for the Department of the Interior’s Tribal Consultation Policy. In previous years she has worked in environmental justice, trust responsibility and sacred sites education for federal agencies. Lori has received several career awards including the Secretary of the Interior’s Equal Opportunity Award, the OSMRE Director’s Award, an Excellence in Government Award from the Denver Federal Executive Board, and a DOI Diversity Champion Award (largely for her work with SAIGE). She was raised in the Denver, Colorado area where she still resides and has one grown daughter. Lori earned her Bachelor of Arts at Metropolitan State University in Denver, and a Master of Fine Arts at the University of Colorado at Boulder. She has also done post-graduate work in Tribal Sovereignty and Federal Indian Law, and won awards for her documentaries. In 2004, she organized the Native Peoples’ Political Alliance, a volunteer non-partisan get-out-the-vote effort to increase American Indian registration and voting in the Denver/Boulder area. 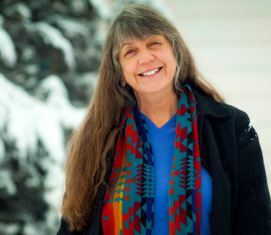 In 2006, Lori was given the Inspiration Award by Boulder’s Safe House Alliance for Non-Violence for her work in the community. She currently enjoys being involved in public television media production as a volunteer consultant.